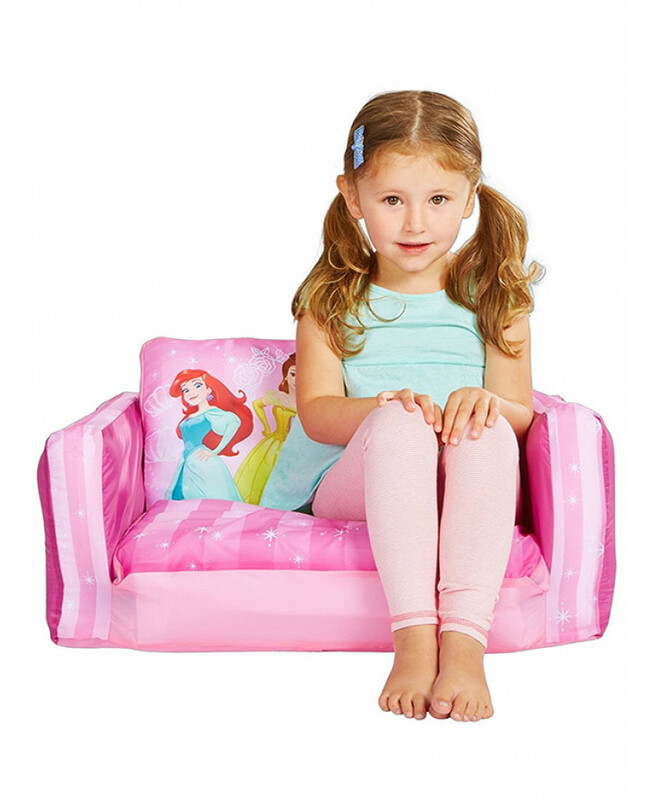 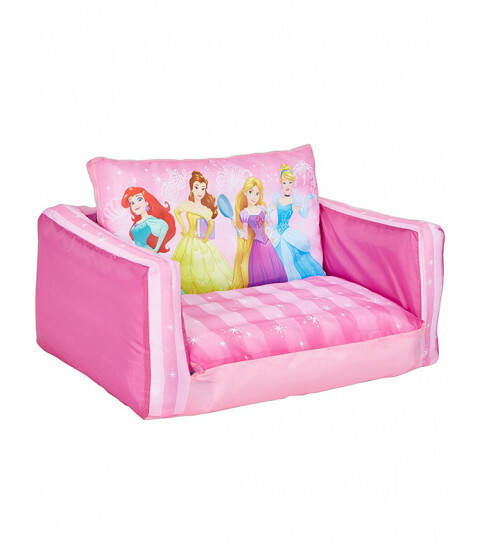 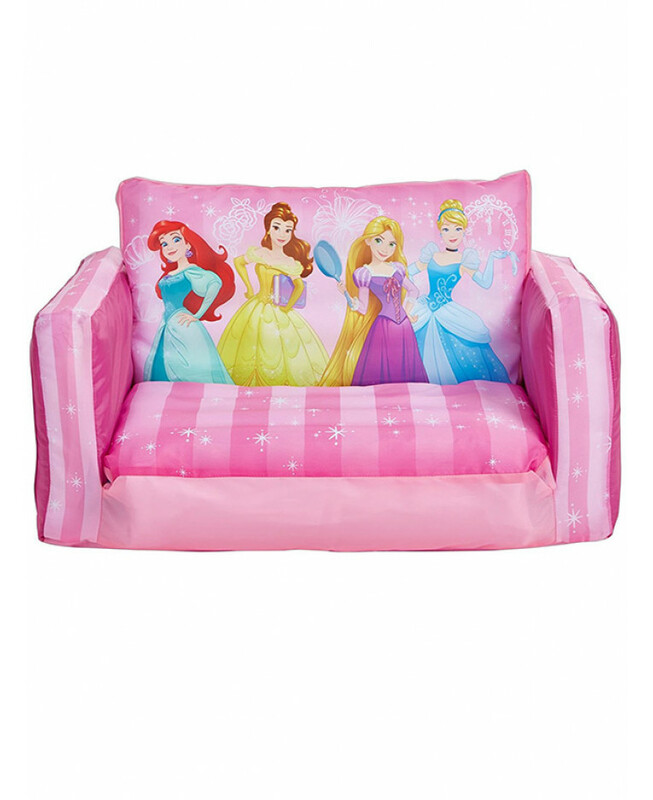 This Disney Princess Flip Out Sofa Bed is a practical and stylish addition to any bedroom or playroom. 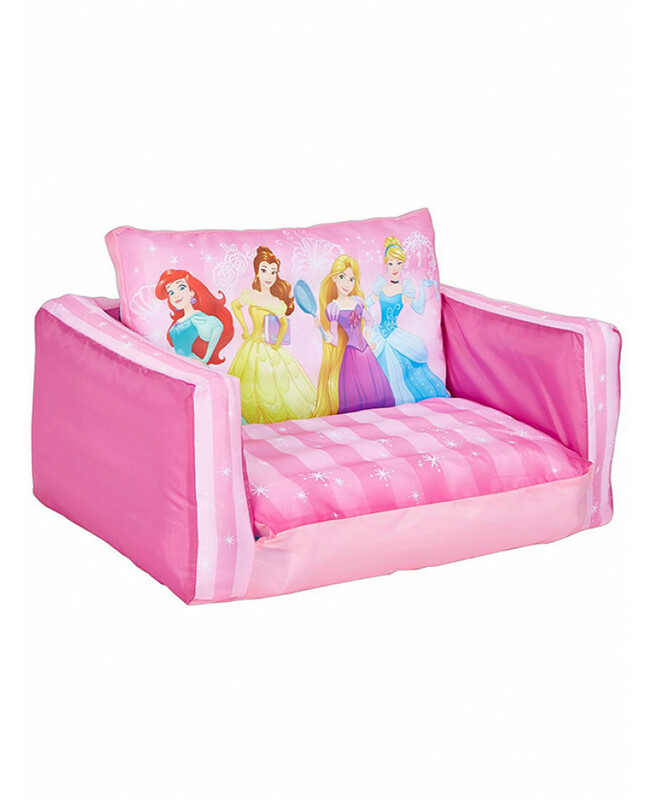 The design features Princesses Ariel, Belle, Rapunzel and Cinderella on a pretty pink background, with a pink striped seat. 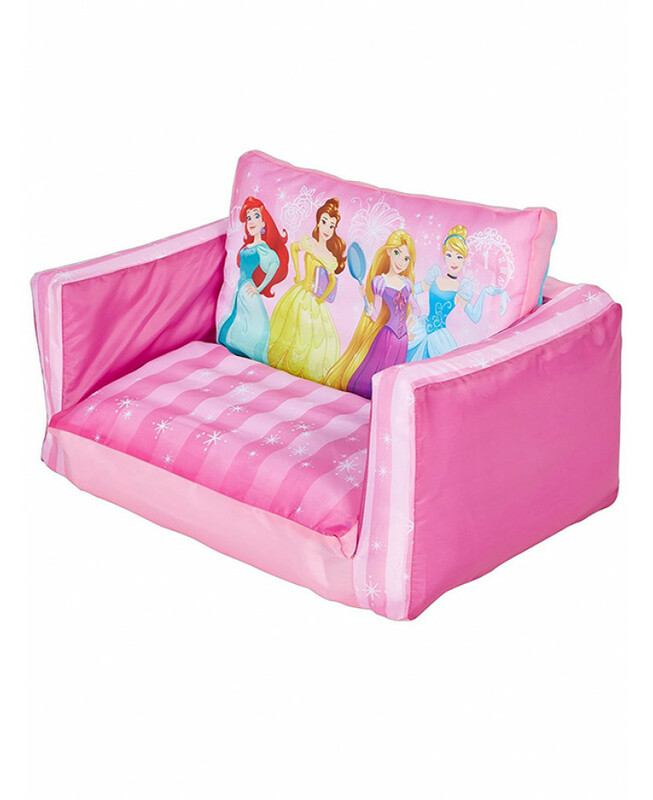 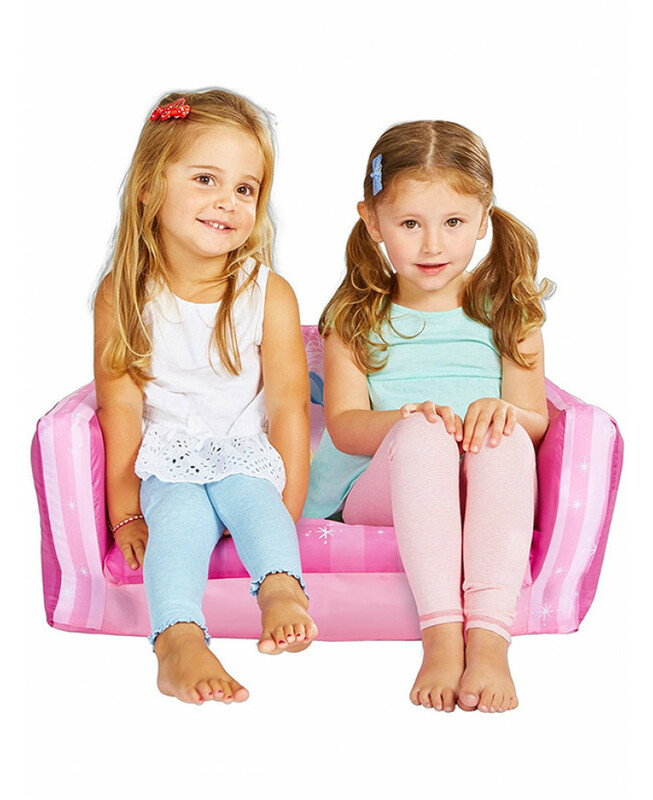 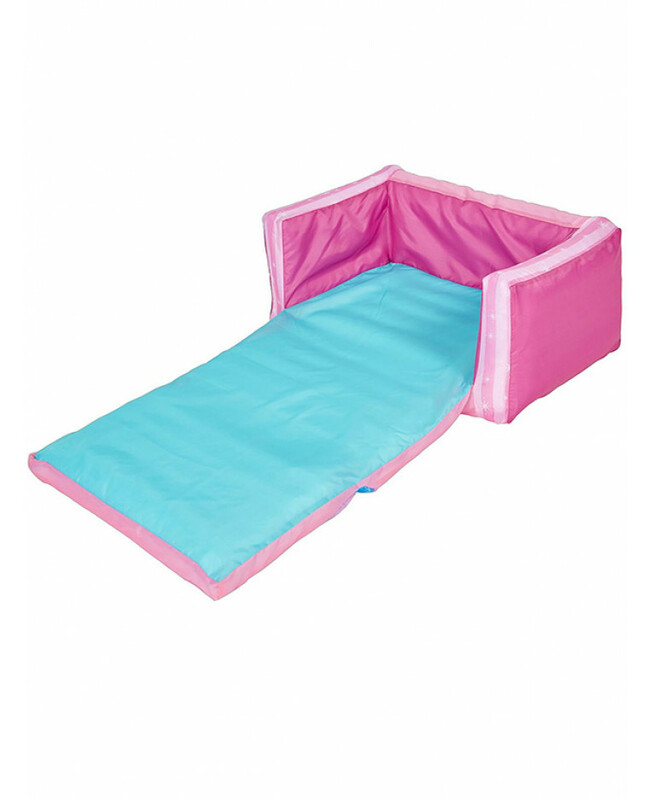 Easy to inflate, it can be used as a sofa or flipped out to make a lounger to use when friends are over or to sit on to read or watch your favourite Princess DVD.